Plough Inn is a pub in Radford, Nottingham, England, U.K. This photo was sent in by MLB. 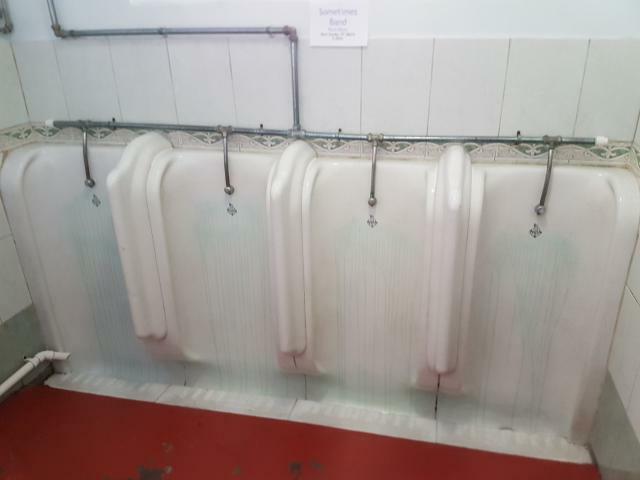 He writes: "4 goergous 1920s Royal Doulton urinals in the Plough Inn, Radford, Nottingham"